Issued at 6:36 pm Thursday, 6 December 2018. Weather Situation:Thunderstorms developed on and to the north of a trough at the base of the Top End and are moving to the northwest. Severe thunderstorms are likely to produce damaging winds in the warning area over the next several hours. Locations which may be affected include Jabiru, Pine Creek, Cooinda, Ramingining and Gunbalanya. 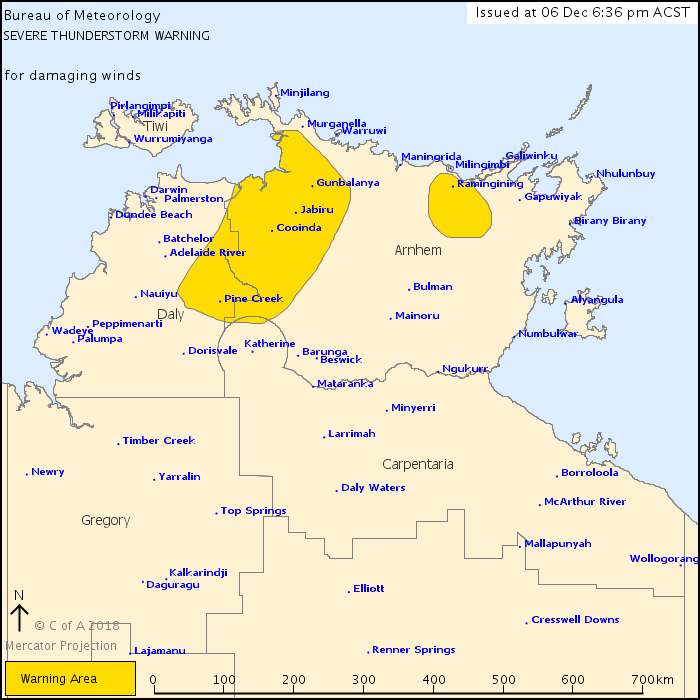 Severe thunderstorms are no longer occurring in the Carpentaria district and the warning for this district is CANCELLED.